Have you been to Lucky Bamboo Tattoo recently? 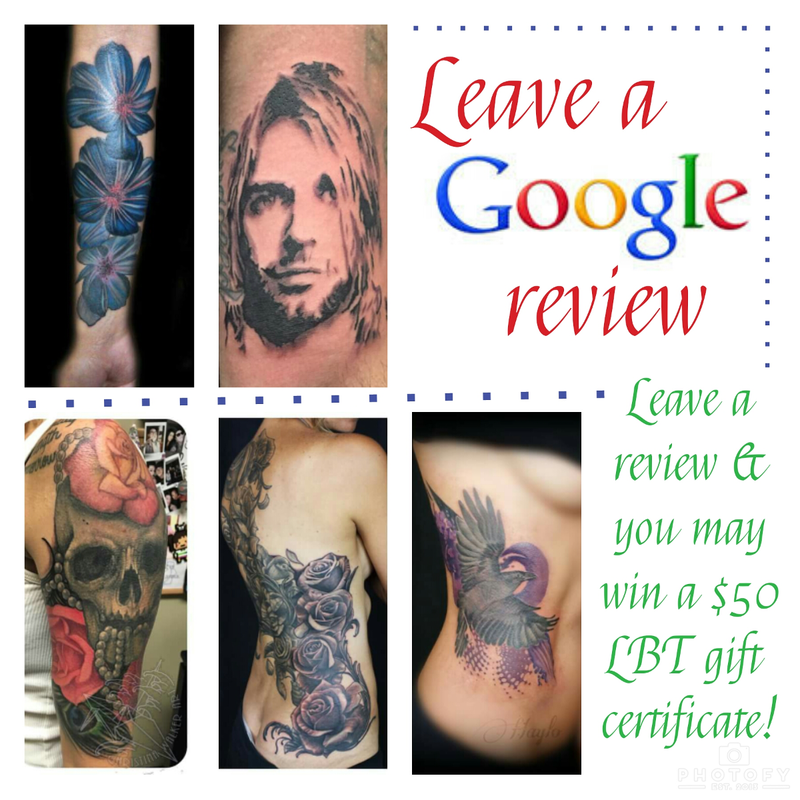 Tell us about your visit and be entered into a drawing for a chance to win a $50 gift certificate to be used towards your next tattoo appointment! Just go to https://www.google.com/local/business/u/0/b/114032614109561334550/reviews/l/18273745557104319385?service=plus&hl=en and leave your review. Thanks for your input, we want to bring you the very best every time you come to LBT!